Simply adding sensors here and there within an operation won’t necessarily provide needed answers. Predicting your plant’s future depends on collecting and analyzing the correct type and amount of equipment and process data. 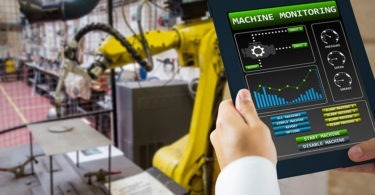 Predictive maintenance (PdM), much like “IIoT,” “Industry 4.0,” and “Plug ‘n’ Play,” among other terms, may be an exciting concept in plants, but many still aren’t leveraging it fully. For some, the idea of interpreting a seemingly endless deluge of data can be too intimidating. However, with the right data, analysis, and collaboration between operational and IT departments, sites can essentially predict the future and prepare for complications. Predictive maintenance, if done correctly, can save time and money for a plant, while providing a sense of security. Here’s where vision, planning, and patience pay off. Something unique to an effective PdM strategy is the emphasis on equipment and process history against which to benchmark. Not just any data will do. Unfortunately, many operations don’t have specialists on hand to sort through and analyze the influx of collected data and determine its actual value. Sensors are an effective way to provide feedback to controllers and, in turn, ensure systems are working correctly and efficiently. They can also be a useful resource for data-collection system. Yet, while industry has been using sensors for decades, some plant managers still balk at adding more for the purpose of PdM because they don’t know what to do with the information these instruments deliver—and may fear what it could reveal. The return on investment from sensors, though, can be substantial if properly applied and with a method to collect their information over time. Most equipment uses sensors, but bigger, more expensive systems have a greater need for them. This especially applies to large, high-speed machinery found in power-generation and other asset-intensive process industries, where these devices can be referred to as “instrumentation.” Other types of operations, conversely, may have sensors on hand but don’t see the value in using them to their fullest, or even know how to do so. Additional sensors, installed in well-thought-out locations in an operation, can augment PdM efforts. Predictive maintenance begins with the generation of data, which is then collected in a central storage system so it can be analyzed. Although controllers, instrumentation, drives, motors, pumps, compressors, and other plant assets are all excellent inside sources of data, their onboard, sensing technologies may not provide sufficient insight about the system. Consider, for example, an AC motor. Assume it is controlled by a variable-frequency drive (VFD) rather than straight AC power. The motor may have a temperature sensor in it. The VFD, on the other hand, may or may not have the intelligence to do anything with that data, and certainly doesn’t collect it. Perhaps the controls to which the VFD is connected do have access to that data, including temperature and power consumption, and are collecting it. Knowing this information, moment to moment, day by day, season by season, may be very helpful in understanding the demands placed upon the system over time. It can even indicate failures. But, in the end, that type of data on its own is probably not enough to predict problems. Adding more sensors could allow collection of data such as vibration, current, insulation resistance, and bearing temperature. Still, personnel can’t simply throw sensors into the mix here and there, start collecting data, and then expect to obtain needed answers. Sites must collect data for extended periods of time and observe or experience some failures before they can understand the importance of the information. And that would be just for one motor. What about understanding the correlation of data among multiple motors or multiple motors and sensors on the mechanics? That insight will add up quickly and become extremely useful down the road. • Review your systems with a knowledgeable person to see what data is already available and can easily be collected. • Decide where data needs to be centrally collected for easy access. • Periodically review collected data using simple tools such as Excel to see what you learn, as well as what you like and don’t like about the data. There could be too much data or not enough. Some systems require data to be collected every hour, others every millisecond. • Prepare a wish list of what types of data you would like to receive, then discuss it with knowledgeable experts. If the idea of adding sensors within your operations is intriguing, be sure to consider the end goal before you buy. • Start small but think big. You need to be able to expand the solution as you learn. • Start simple, but don’t automatically opt for “cheap.” Some simple solutions may not incorporate capabilities you’ll need to expand on as you go. This information was provided by Corey Foster, manager of Application Engineering, Valin Corp., San Jose, CA. Valin is technical solutions provider for the technology, energy, life sciences, natural resources, and transportation industries. For more information, visit https://www.valin.com.